Australia yesterday hammered Pakistan again thanks to big knocks from Aaron Finch and Usman Khawaja. Could the commanding form of Australia’s top order convince the selectors to use David Warner in a middle order role for the World Cup? Australia have now won five ODIs on the trot, all of them away from home in Asia, thanks to excellent contributions from openers Finch and Khawaja and first drop Shaun Marsh. If the fine form of that trio extends to the end of this five-match contest in the UAE – Australia’s last series before the World Cup – the selectors will surely be reticent to break up this top three. Warner appears certain to come straight back into Australia’s starting XI for the World Cup given that in his last 50 ODIs he averaged 56, made 11 tons and had a scorching strike rate of 106. 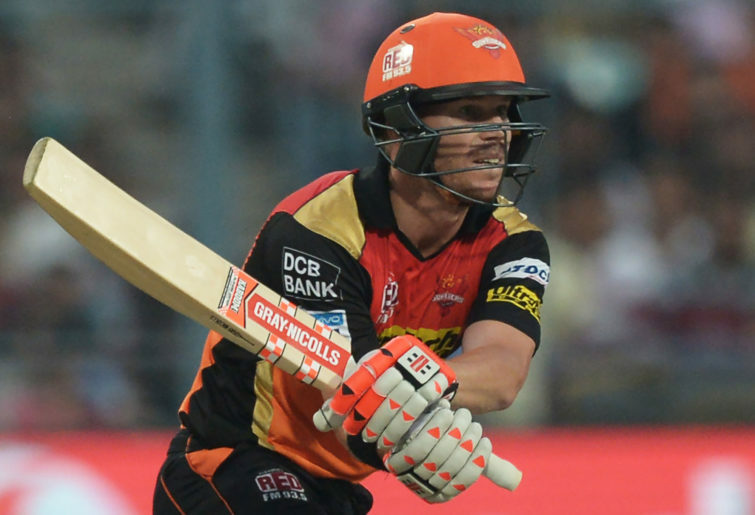 He also made a dominant return to high-level cricket in the IPL on Sunday, hammering 85 from 53 balls. 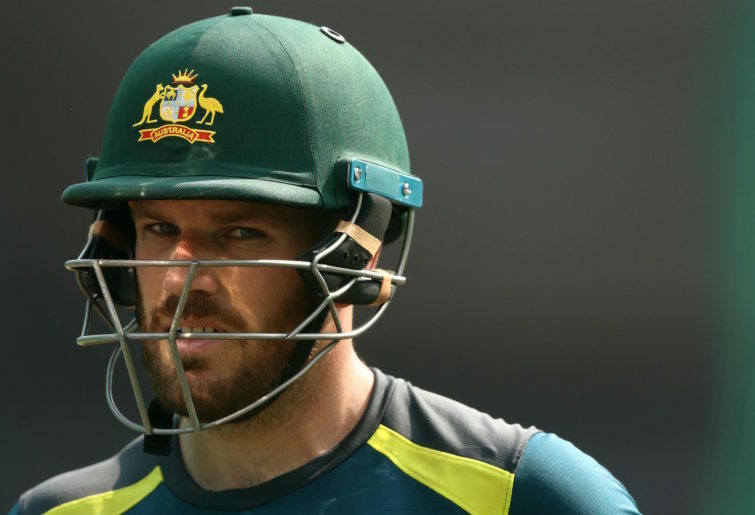 It has widely been assumed Warner would take back his favoured spot as opener for the World Cup, with the Australian batting line-up shuffled around him. Now, however, it may be a case of trying not to disturb Australia’s top three and instead handing Warner a middle-order role. Finch, for example, surely would not be moved out of his long-term opening role having only just regained form after a lengthy slump. Only a few weeks ago, after making a duck in the first ODI against India, the Australian captain had averaged a paltry 11 in his previous 22 innings for Australia across all formats. Finch was in comfortably the worst form of his eight-year international career. Since then, however, the worm has turned for the Victorian, who has piled up 416 runs at 83 in his last six ODIs. That haul includes a rollicking 153* from 143 balls yesterday as Australia chased down a target of 285 with absolute ease. Pakistan’s total yesterday was perhaps ten to 15 runs below par on a slow Sharjah deck. Even still, Australia turned that chase into a net session as Finch and Khawaja (88 from 109 balls) put on an opening stand of 209. Finch and Khawaja are developing some fine chemistry as an opening combination. Across Australia’s five-match winning streak their average partnership has been a whopping 111. They have found a fine rhythm with Khawaja being the dominant partner in the power play while Finch gets himself set. Then, once the field has moved back and spin comes into action, it has been Finch who has been the aggressor. It would seem highly unlikely Finch will be shifted considering he has opened in 100 of his 102 ODI innings and likes to take his time to get going. Similarly it would make little sense to move Khawaja down the order given he has an incredible record as an ODI opener (859 runs at 54) compared to an awful record batting elsewhere (219 runs at 24). Khawaja clearly is at his best when he gets to start his innings against pace bowling with the field up. In ODIs he has looked far less confident starting against spin with the field set deep. Warner, meanwhile, is more capable than Finch or Khawaja of adapting to a role lower in the order. Sage cricket analyst Kerry O’Keeffe last month backed Warner to adapt to a middle-order ODI role upon his return, as reported by Fox Sports. In his 106 ODIs Warner has only once batted outside of the opening position, making 21* from six balls while batting at five against Scotland in the 2015 World Cup. Warner has, however, shown the flexibility to bat in the middle order in T20s. He has performed well in the middle order in the IPL – in the 2014 season he made 427 runs at 53 in games in which he batted between three and five in the line-up. Warner’s also looked at home in the few matches where he’s batted at No. 4 for Australia in international T20s, making 133 runs at 33 with a strike rate of 153. His fluency against spin and elite running between the wickets are key attributes for a middle-order batsman in ODIs. If Warner were able to slot into Australia’s World Cup side batting at No. 4, it would allow Finch and Khawaja to maintain their blossoming opening partnership and either Shaun Marsh or Steve Smith to bat in their favoured position at No. 3. That puzzle will become clearer over the final three ODIs in Pakistan and across the remainder of the IPL season, during which Warner and Smith will be auditioning for World Cup roles. In the meantime, Australia’s ODI form line is looking incredibly healthy in comparison to a few weeks ago. The pieces are starting to fall into place for the defending World Cup champions.